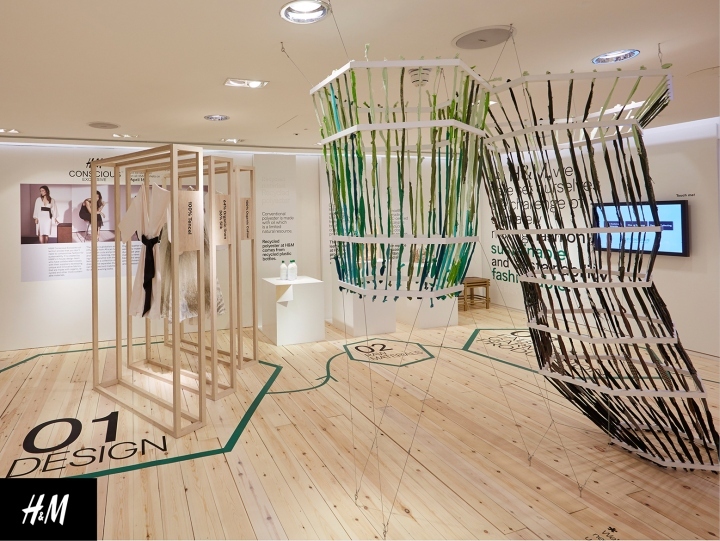 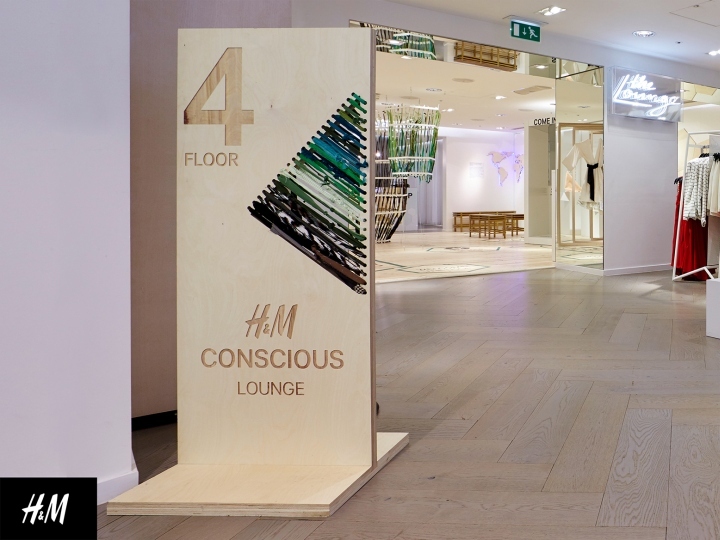 FormRoom were asked by H&M to work with them in transforming the Lounge on the fourth floor of their Oxford Circus store into a ‘Conscious Capsule Space’. 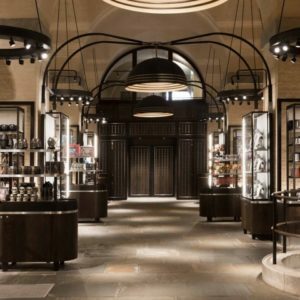 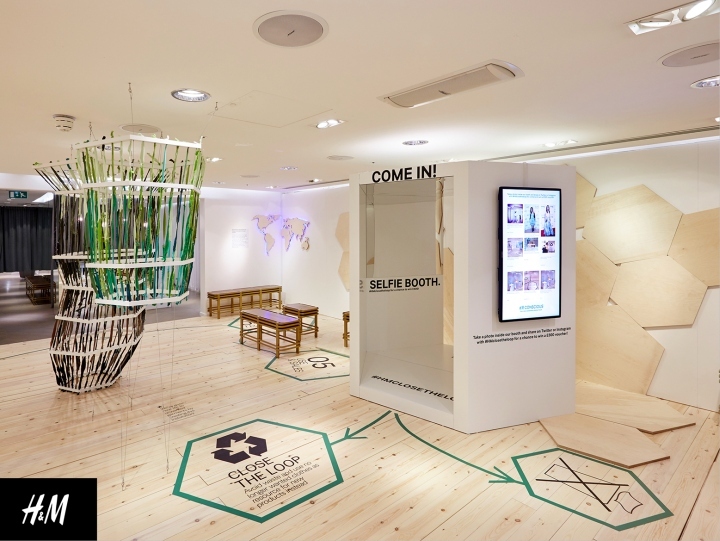 For the re-activation of their conscious message globally, they wanted to create a space in their flagship store in the UK. 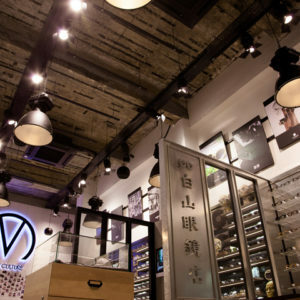 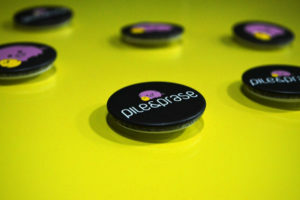 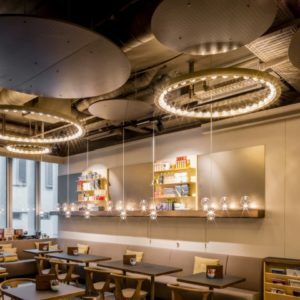 The space would seek to communicate their Conscious message to their customers. 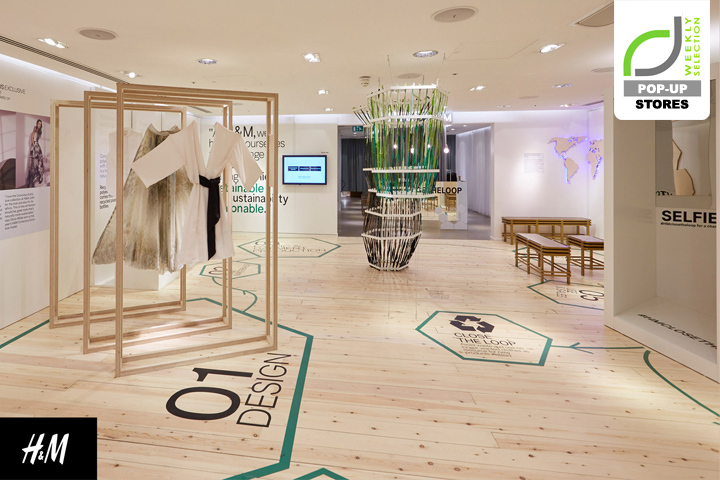 Visitors would realise the steps they are taking to provide more sustainable and environmentally conscious fashion alternatives. 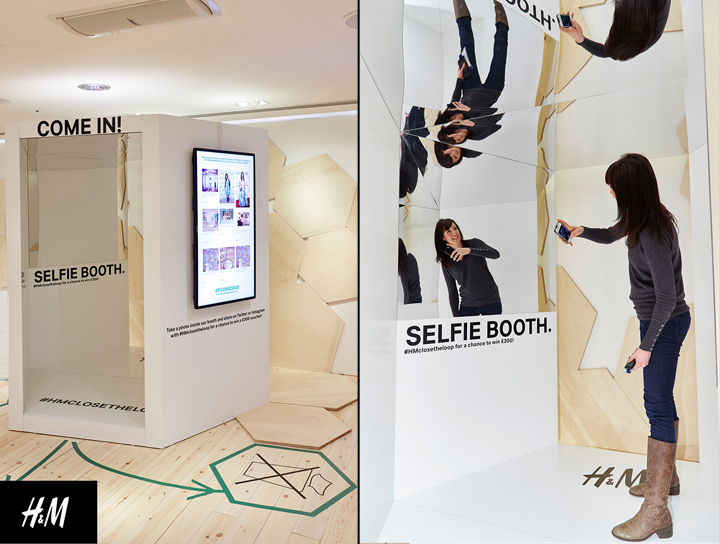 The aim was for their customers to be able to find out more through media content and interaction in a gallery/exhibition type of space. 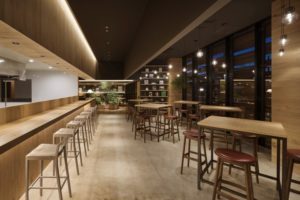 The team wanted to keep the space fairly clean and simple with a limited colour palette. 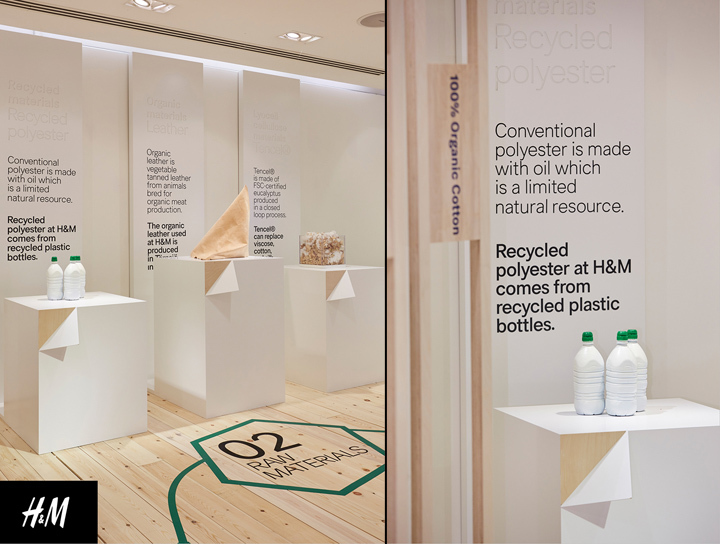 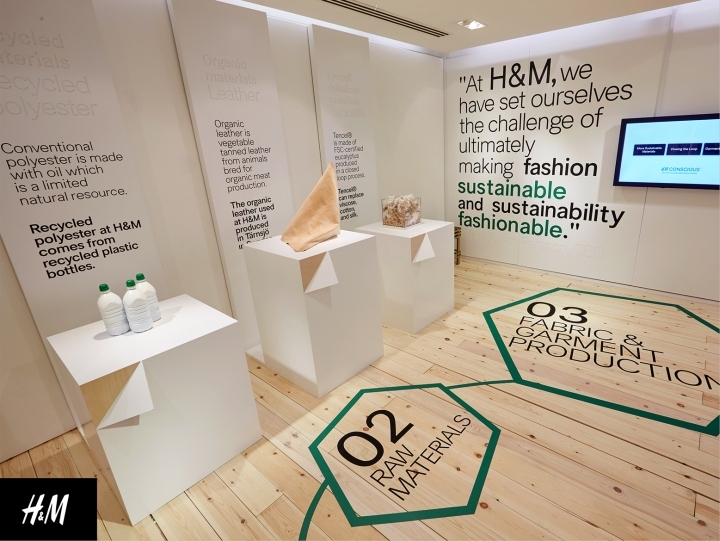 The first idea was to have the ‘Closed loop’, which is such an important part of the H&M Conscious campaign, vinyled onto the floor so visitors could follow this path to navigate through the space. 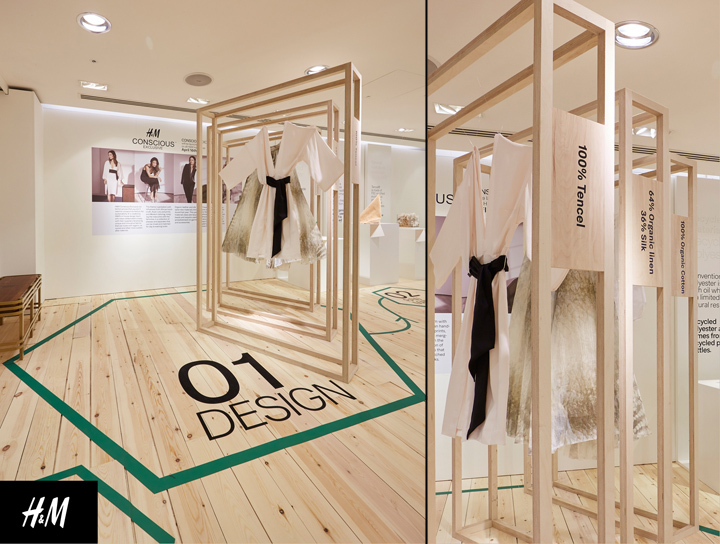 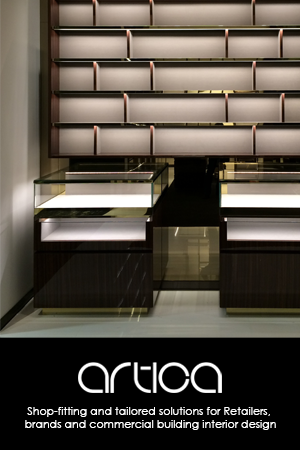 The Shop-Fit was kept minimal with lots of white and a touch of plywood. 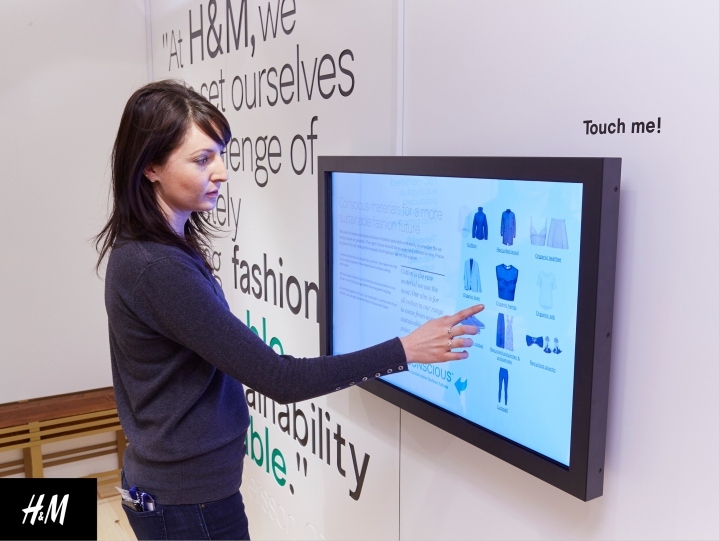 Interaction was incorporated through a touch screen, a video wall and a live social media feed. 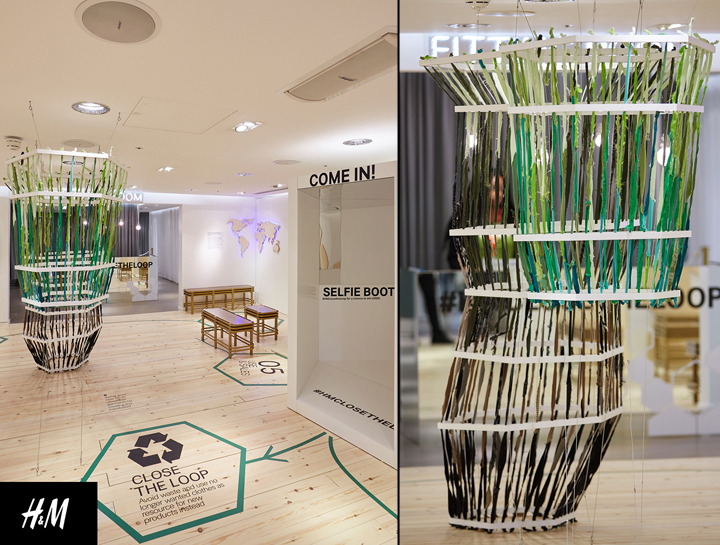 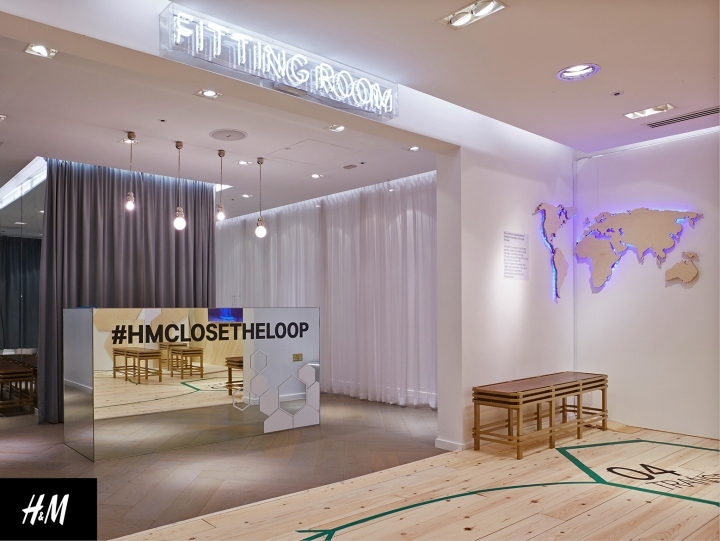 Visitors were encouraged to take a Selfie in the bespoke photo booth designed by FormRoom, sharing their photos using the hashtag #Hmclosetheloop for a chance to win a prize. 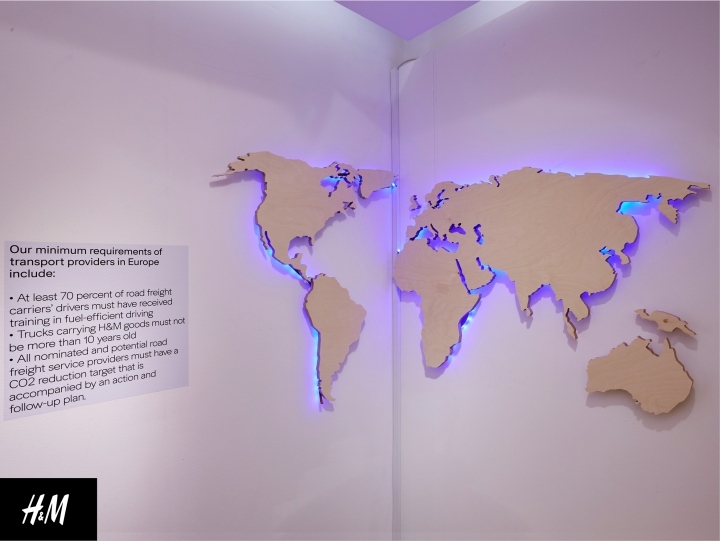 FormRoom CNC’d a world map from plywood to get across the transport message and built simple frames to suspend the clothes in. 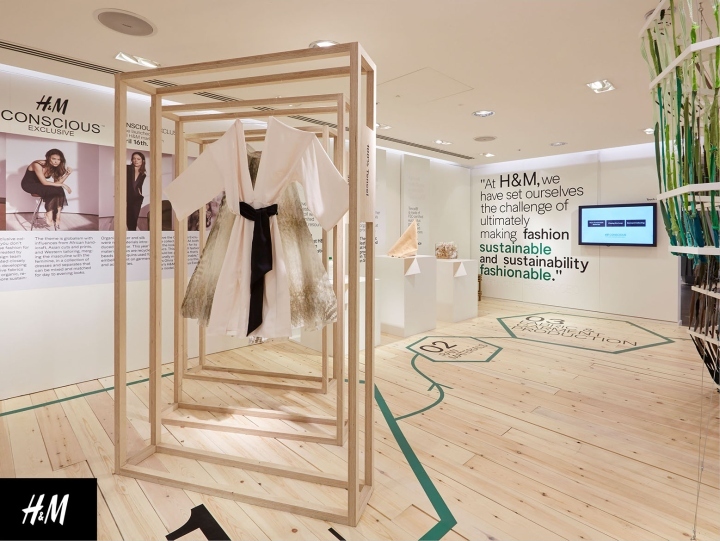 The central installation was made using unwanted garments which the team cut into strips and threaded through hexagon mounts.